(VEN) - Apart from adding value to products and increasing production capacity, financial and infrastructure problems need to be resolved to develop support industries. Support industries have contributed significantly to long-term sustainable economic growth and boosting export; and attracted huge foreign investment. They are playing an important role in improving competitiveness of industrial products, promoting new technologies, and helping domestic small and medium enterprises develop. 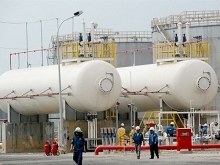 According to Dang Van Chi, Deputy General Director of N&G Investment and Development JSC, chief investor in the Hanoi South Supporting Industrial Park (Hanssip), despite successfully attracting large corporations such as Samsung, Nokia, Toshiba, Honda, Panasonic, and Canon, Vietnam has to spend billions of dollars to import components and spare parts, especially ancillary products in the fields of machinery, textiles, footwear, mechanics. Hanoi recorded approximately 2,000 companies operating in support industries and classified into eight major industry groups, with total sales accounting for approximately 25 percent of the city’s whole industrial sales. The most developed are companies involving in production and assemble of transport vehicles such as cars and motorcycles, followed by companies involving in production of electrical, electronics and telecommunications products; mechanics manufacturing; packaging and labeling; and agricultural processing. Despite certain developments, Hanoi’s support industries are still faced by difficulties in integration process such as underdeveloped technologies compared with other regional countries resulting in inability to meet requirements from FDI enterprises, said Director of Hanoi’s Department of Industry and Trade Le Hong Thang. “To remove difficulties of financial resources and production sites for enterprises in support industries at this time are very important, especially medium and long term funds for investment in machinery and equipment and new technology applications and synchronized infrastructure in specialized industrial parks,” he added. Along with specific solutions for capital and infrastructure, the government and local authorities have been building appropriate mechanisms and policies to further promote the development of support industries. For example, Hanoi has issued a number of specific policies to back local support industries such as favorable loans, low interest rates, and international cooperation promotion to apply to enterprises operating in the city’s industrial parks such as Hanssip. According to Deputy Minister of Planning and Investment Dang Huy Dong, increased international economic integration requires promoted links between national and international companies to jointly develop. In the longer term, there is no other way to boost exports but increasing the values added to export items. “The Ministry of Planning and Investment is developing a plan to build large-scale sectoral clusters and promote the development of high value added products to enhance product competitiveness in the support industry value chain. Chairman of Hanoi Supporting Industries Business Association Nguyen Hoang said “The most important issue is how to find outlets for support industrial products to promote sales. Once you have a market, you will need financial sources for sustainable business development.”/.